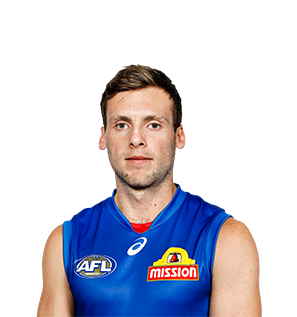 Latest on Bob Murphy, Dale Morris, Jordan Roughead, Josh Dunkley and more. Who's burning up the track? Who are this years summer sizzlers? Clay Smith reinstated to primary list, while teammate added to long term injury list. 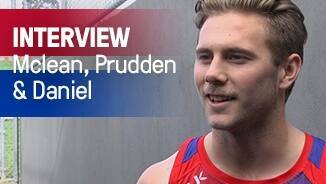 A workhorse and eager student of the game, Prudden will bolster the Bulldogs growing midfield stocks into the future. Prudden is a hard runner who is accurate by foot and possesses strong leadership skills. Prudden was drafted with the Bulldogs third round selection in the 2012 AFL Draft (pick 50 overall). Prudden made his senior debut in 2015 in the Club's come-from-behind victory over the Gold Coast Suns in Cairns. Prudden went on to play a further three games that season. A season ending knee injury cruelled his 2016 campaign. A season-ending knee injury in the second round of the VFL season saw Josh Prudden's 2016 season finish scarecly before it had started. While Prudden was delisted at the end of the season, the Club committed to the hard-edged midfielder/half back, by selecting him in the rookie draft. 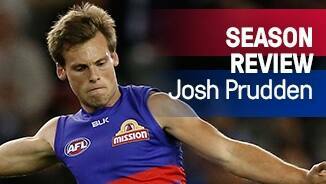 Prudden has struggled with injury in his first two seasons at the club, playing only six VFL games in 2014. Being inhibited by a knee injury much of 2014, Prudden will resume full pre-season training with the rest of the team and will look for a big summer to string together a more consistent 2015 season. 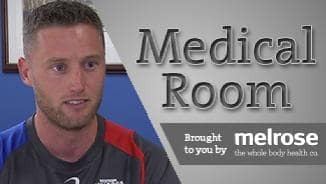 “Josh injured his knee in his last game, we think it’s best for him to miss the rest of the season and start preparing his body for the next pre-season which he will do really well at.” – Bulldogs Medical Services Manager Andrew McKenzie in August 2014. The talented Murray Bushrangers midfielder had a slow start to his career, battling injuries in 2013. Highly rated by the Bulldogs for his stoppage work, Prudden played seven matches in the Williamstown reserves before being sidelined with a lingering ankle injury. Restricted to rehabilitation and weights training for the most part of the season, Prudden worked tirelessly to strengthen his body in preparation for season 2014. 23 disposals against Collingwood in the VFL seniors was a highlight for the 19-year-old who was named among the best in just his second game at that level. Despite playing only two games with the VFL seniors, Prudden acquitted himself well, adjusting to the tempo and more contested environment with ease. He had limited exposure during the TAC Cup this season playing only seven games for the Murray Bushrangers but was a favourite of school (Assumption College) football coach, former Bulldog Scott Wynd. Prudden was drafted by the Western Bulldogs with their third round selection (No. 50) in the 2012 AFL Draft.